In 1920, Black people owned and farmed over 15 million acres in the South; by 1960, this had declined to 100,000 Black farmers owning less than 6 million acres; by 1980, there were only 57,000 Blacks owning less than 4 million acres; the 2007 Agricultural Census, said there are less than 25,000 Black farm families remaining with a little less than 3 million acres. Preserving the land base of African-American family farmers in the South and helping them to use it in a productive, collaborative and sustainable manner is a major program priority of the Federation of Southern Cooperatives/Land Assistance Fund. Recently I accompanied a Black family to a partition sale on the courthouse steps in Hale County, Alabama. The grandfather of the family had died in the 1960’s, without a will, leaving 60 acres to his widow and seven children. The last of the original seven siblings died in 2005. This left 20 grandchildren and 5 great-grandchildren owning the land as “heirs property”. Each remaining branch of the family owned a seventh of the land and on one branch, with five great-grands, each owned 1/35 of the land (less than two acres). One of these distant heirs, now living in Chicago, who had never visited the land in Alabama, sold his “undivided interest” in the land to a white person outside the family for $300. The new buyer returned to Alabama and petitioned the court in Hale County to sell his undivided interest in the land, which led to the sale at the courthouse steps. Thousands of acres of Black owned land in the South have been lost this way over the past century. Land has also been lost to fraud, chicanery, tax sales and other reasons as well. The family was divided about whether to keep the land. Some of the heirs that were members of one of our farmers marketing cooperatives asked the Federation to help. We met with the family and determined that the land was appraised at $1,800/acre ($108,000). 15 of the remaining heirs who owned about two-thirds of the property wanted to keep it. Since it was too late to stop the sale, the Federation helped the family to arrange financing and went to the sale with them to buy back their own inheritance. We were successful and had the top bid. With those family members, who wanted to keep the land, contributing back their share of the sale proceeds and a loan for the remainder, the Federation helped this family to retain their land. We also helped them to form a “family trust” to hold the land for the future in a way that prevents it from becoming heir property again in the next generations. Some family members lease a part of the land to produce vegetables for sale through a member cooperative. The other portion of the land is being used to grow timber as a long-term investment for the family trust. Organized in 1967, the Federation/LAF has over forty-five (45) years of direct, first-hand and cutting edge experience working with Black farm families, as well as other rural poor people and families, who are trying to help themselves end the cycle of poverty in which they find themselves. The Federation of Southern Cooperatives/Land Assistance Fund is a non-profit, tax exempt, service, resource and advocacy association, involving 20,000 low income rural families, organized into more than 75 cooperatives, credit unions and community based economic development groups across the South. These cooperatives are primarily agricultural but also include fishing, housing, consumer and worker owned cooperatives. A 13 person Board of Directors democratically elected by our membership governs the Federation/LAF. Chartered to operate in the District of Columbia and 16 southern and border states, our work is concentrated in Alabama, Mississippi, Louisiana, Georgia and South Carolina. Our membership lives in the persistently poor rural “black belt” counties within these states. A “persistently poor county” is one, which has experienced multiple decades of high poverty, unemployment, out-migration, low literacy and education, substandard housing and many other problems that feed upon each other and make it difficult for people to escape the multi-generational cycle of poverty in which they find themselves. Cooperatives, including credit unions, offer a unique approach to help people overcome hopelessness and develop their own self-directed, self-generated and collective solutions to poverty. The first cooperative that I helped to organize was the Grande Marie Farmers Cooperative in St. Landry Parish, Louisiana in 1966. I was working as a field secretary for the Congress of Racial Equality (CORE), part of the civil rights movement. I was fresh out of college trying to register people to vote and test public accommodations. The people I worked with in this largely rural area were cotton and sweet potato farmers and sharecroppers who felt they were not getting a fair price for their production. They wanted to form something “that could sell their sweet potatoes for a fair price.” I started meeting with people to discuss and figure out a way to solve their problem. Despite my education, I had never been taught about cooperatives in high school or college. We met weekly on Friday nights at a club, where the owner prepared a spicy fish stew, accompanied by beer, to talk about how the farmers could get a better price for their production. I did some library research and discovered cooperatives as a community-owned strategy for farmers to market their own produce. I brought this information to the Friday meetings, over fish stew and beer, to share with the farmers. Out of a six months or more learning process, we adapted the concept of a sweet potato marketing cooperative and made a plan to develop the cooperative. There were many struggles and obstacles but the Grande Marie Co-op did emerge from this process and was able to raise the price to farmers from $1 per 50-pound crate to $3. This helped many small family farmers to stay in business and keep their land. The co-op was one of twenty-two that started the Federation of Southern Cooperatives in 1967. The Federation’s membership includes 10,000 Black farm families, who own over half a million acres of land and work through 35 agricultural cooperatives to purchase supplies, provide technical assistance and market their crops together; 12,000 small savers, in 15 community development credit unions that have over $20 million in assets and have made over $60 million in loans since their inception. We also work with handicraft producers, fishermen, consumers, people who need affordable housing and other rural residents interested in developing self-help cooperative solutions to their problems. to develop sustainable and financial self-supporting cooperative business development, including an endowment fund to support our ongoing work that cannot be fully funded by membership fees, grants and contracts. The Federation has woven these themes together to create a strong community based movement of organizations steeped in struggle, tested by time, experienced in fighting exploitation, with a knowledge of the tactics, tools and techniques needed to help people build their own prosperity and progress. Much of the training that I have done over the years has been to help people understand the cooperative principles and ways these basic rules for working together can be applied and adapted to different situations and problems to produce grassroots business development and economic success. Once people start working together, training, education and consciousness are needed to help people stay together as cooperators. Each co-op member must understand the business and be able to read and understand the financial statements in such a way that they can relate their everyday work in the co-op to the results shown on these financial reports. Members must understand and internalize that this is now their business. If you slack off, don’t pay attention to detail, don’t insure quality, don’t show up on time, try to “beat the boss out of something” – you are in reality hurting yourself and may doom your own business! Credit unions are harder to organize today than in the past. The National Credit Union Administration (NCUA), which is both the regulator and chartering agency for federal credit unions, has made it more difficult to start new community-based financial institutions. The NCUA has made it harder for a group of people in a rural county to come together to pool their savings and develop a credit union over time with volunteer leaders and staff. The NCUA has also forced many of our smaller credit unions to merge with larger credit unions, thus loosing their community identity and ability to grow as an organic financial institution rooted in the community and serving its members and heir goals. The Federation is working with other groups to highlight these concerns and advocate for changes in the NCUA regulations to return the credit union organizing process closer to the people. One of the Federation’s early organizers used to gather people who were interested in starting a credit union around a table. He asked the people to put their initial savings on the table and loaned it that night to one of the members who had a need for a loan. This was the beginning of forming a consumer-owned community-rooted, financial institution. We need to preserve such values and continue to establish grassroots financial institutions. Beyond these direct and tangible impacts are the intangible benefits of the Federation’s work in terms of the leadership growth of people, the changes in peoples behavior that make collective decision making more effective, a greater appreciation of sharing by people as a means of working together economically in communities. One of our greatest accomplishments has been in helping to teach groups of people in co-ops how to make decisions about their collective well being and lifting up the communities where they live. action: the actual implementation of the cooperative or credit union project, with continuous education and pooling of resources. and technical advice to the perspective community groups but the decisions and progressive steps are up to the group. The Federation works with the local people selected by the group to develop the board of directors, management and leadership of the cooperative, credit union or community development organization. The Federation continues to interact and work with these leaders over time as the cooperative business is implemented and grows. an additional $1.25 billion in payments is currently in process. In many communities our members live in substandard and dilapidated housing conditions. We have worked with them to provide the training and technical assistance to help them take advantage of USDA Rural Development single family, multi-family and self-help housing alternatives to improve their living conditions. For over forty years we have helped 300 families to secure single family loans and 200 families to secure multi-family and self-help housing solutions. One of the most rewarding results of our work is to see young people from economically distressed communities seek the training and education they need to come home to farm or pursue other jobs, careers and business opportunities in rural communities. 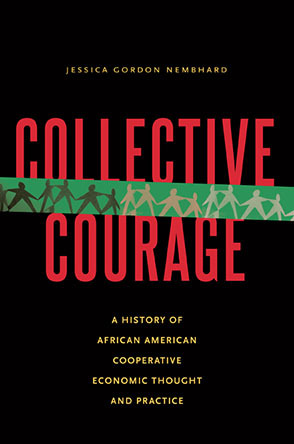 Many people do not know their own power until they get involved with a cooperative or a community struggle or a movement that is larger than them. I started to tutor him and then helped him enroll in an adult education program. Since he was motivated to learn with a purpose he quickly learned to read and in a few years received a GED. He became the manager of the cooperative, served on the Federation’s Board of Directors and started a cultural festival in Louisiana that celebrated zydeco music. The festival grew to be a major fundraising event for the cooperative and helped to revive and save this indigenous southwest Louisiana form of music and dance. For more information on the philosophy, work and programs of the Federation, visit our website. John Zippert is the Director of Program Operations for the Federation of Southern Cooperatives/Land Assistance Fund at their Rural Training and Research Center in Epes, Alabama. He has over 45 years experience in community organizing, cooperative and credit union development, community based economic development and rural development in distressed communities. Prior to working for the Federation, he was a fieldworker for the Congress of Racial Equality (CORE) in Louisiana. He has a BA degree in history from the City College of New York; and has participated in numerous training sessions and courses to enhance his skills in rural development. Zippert has worked with the Federation on the development of affordable housing for low income people in Alabama, including development, loan packaging and construction of over 250 units of single family housing, self-help housing and four rural multi-family projects with 126 units. John Zippert serves on the boards of many national, regional, state, and local organizations to support rural development activities. Among these boards are: The Rural Coalition, Association for Community Based Education, Rural Development Leadership Network, Alabama Black Belt Commission, Alabama Council on Human Relations, Alabama Organizing Project, Alabama New South Coalition, Greene County Industrial Board, Greene County Hospital and Nursing Home, and Greene-Sumter Enterprise Community.